Here is another free update to our flagship pro DJ software – future.dj pro version 1.7.2. 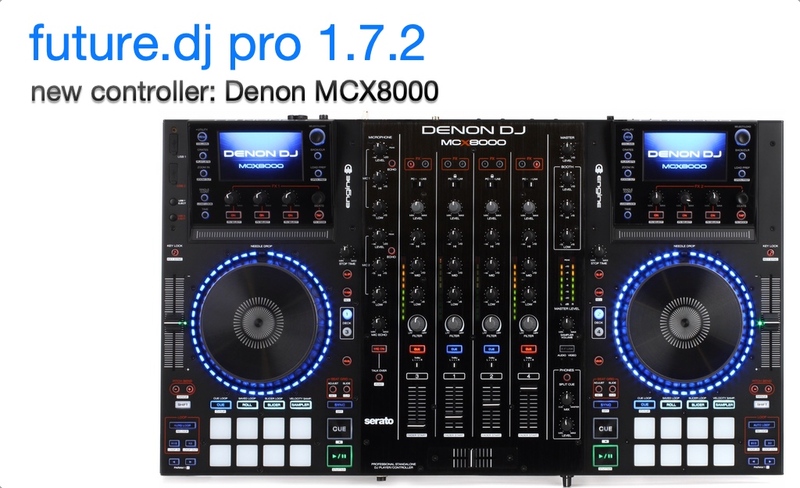 This release adds native support for the Denon DJ MCX8000 controller and also adds some small improvements and fixes. This is a FREE update for all our customers. To update simply download the demo version and install it over the previous version – it will automatically unlock itself to the full version. Download the future.dj pro update: macOS or Windows 32-bit or Windows 64-bit. See all the 110 controllers we currently support: complete list.